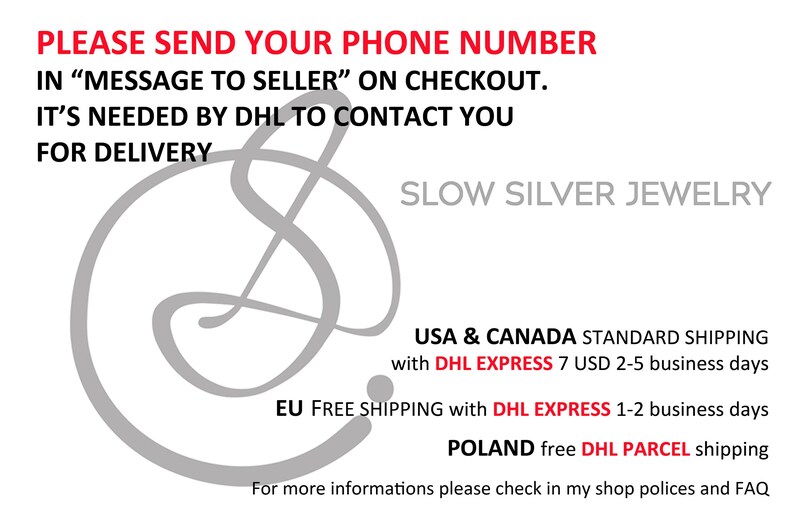 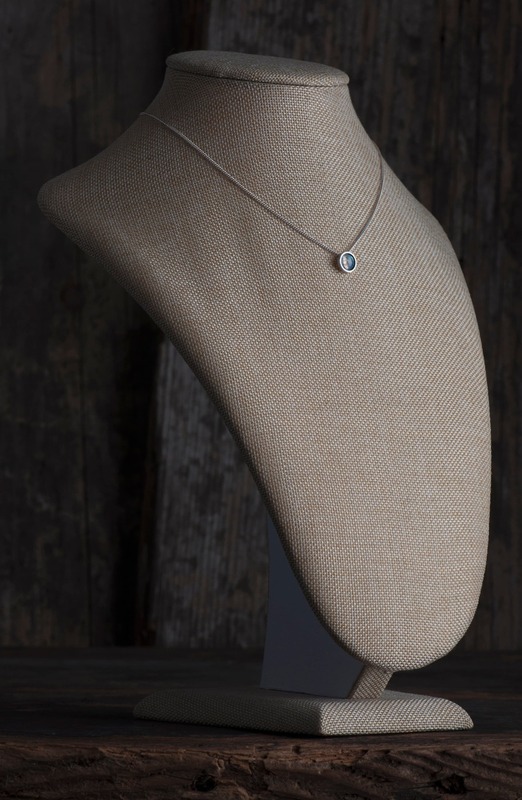 Are you searching for a dainty necklace, but you also wish to have something eye-catching and unique? 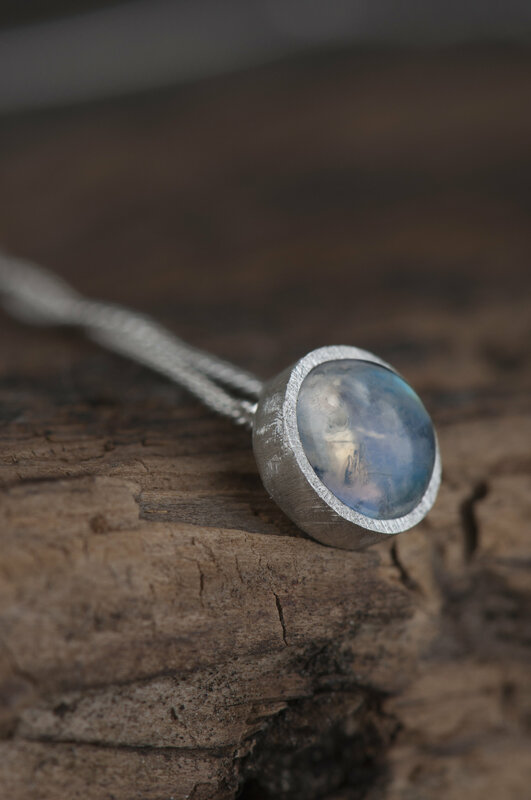 This moonstone necklace is small and has a truly simple shape, but it's also slightly different from other necklaces of this kind. 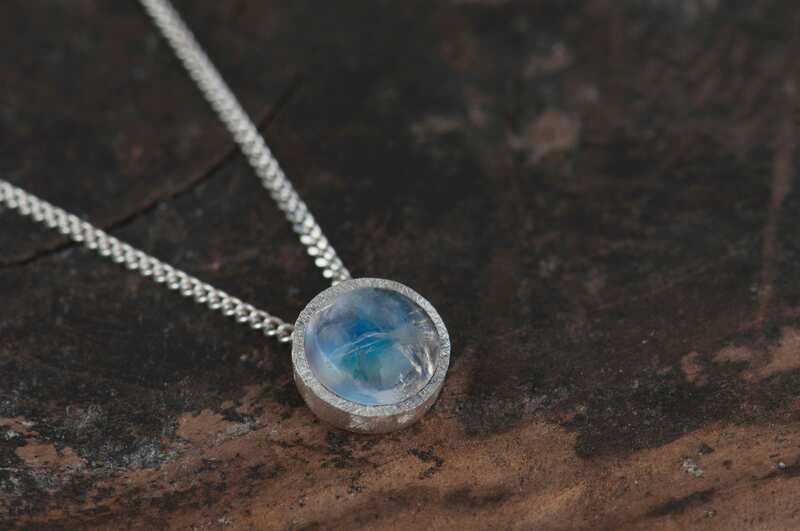 This design is based on a combination of two different surfaces - scratched and matte on the silver setting and shining and smooth on the stone. 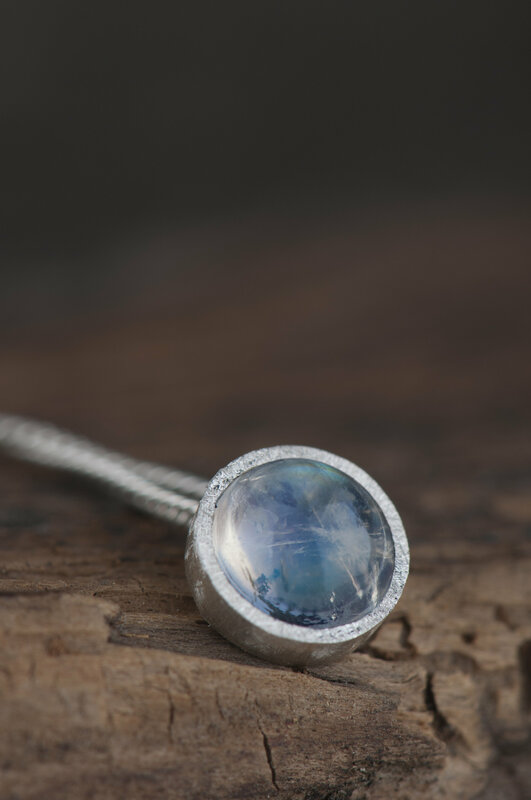 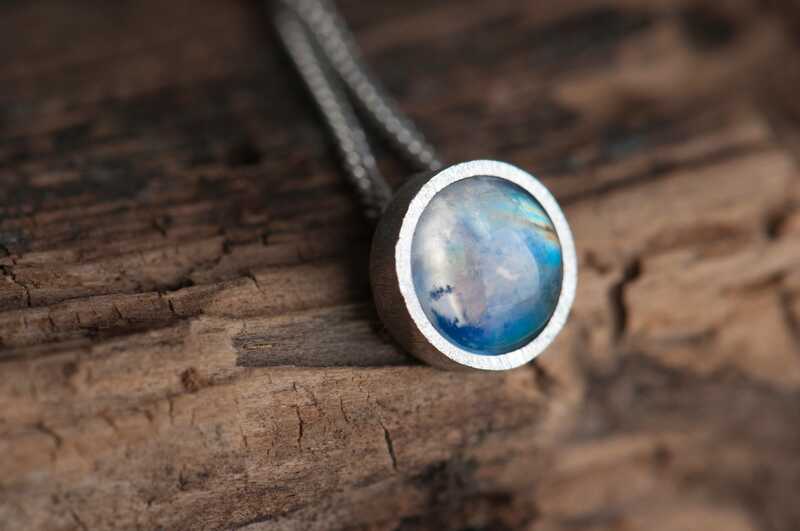 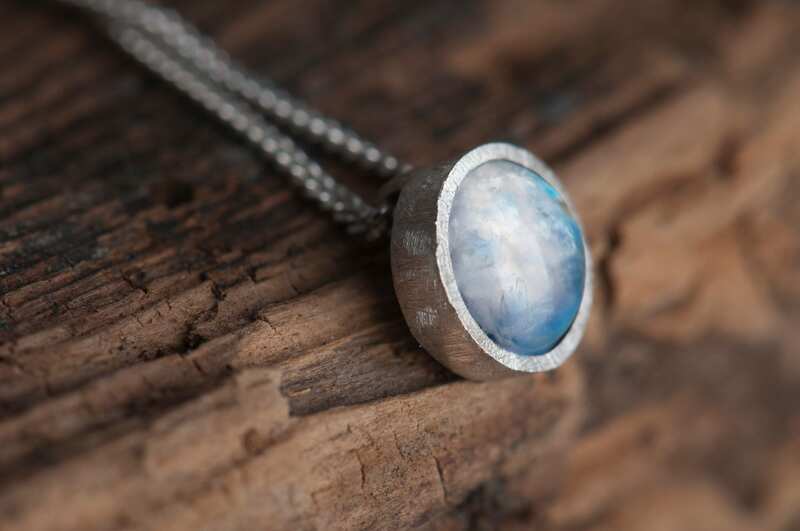 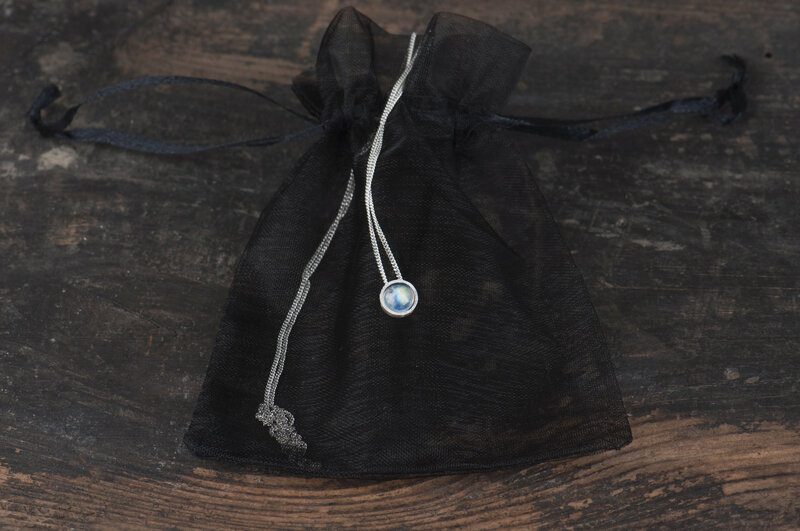 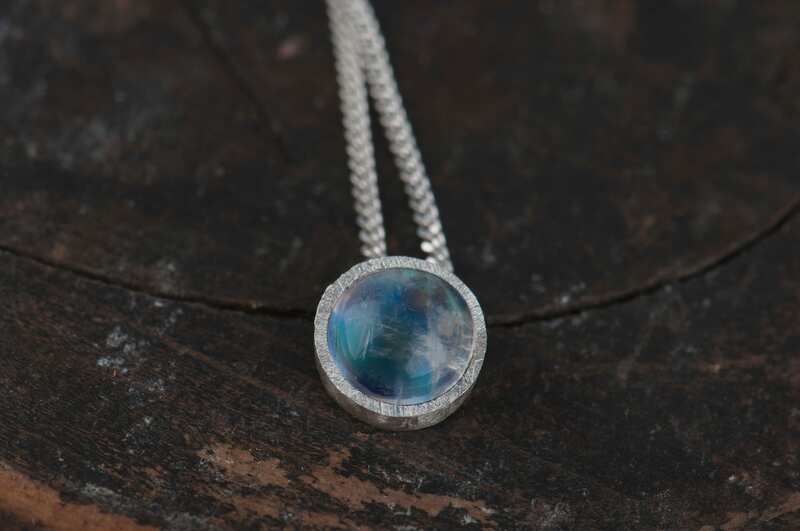 And this contrast of delicacy of the blue moonstone and roughness of the metal makes this necklace unique.